State College, Pennsylvania. You probably know it better as the home of Penn State, Joe Paterno, and some of the craziest party weekends in the country. Unfortunately, Penn State really isn’t known for its car-modification scene. Outside of a few lifted trucks, and a few not so tastefully modified Kias, there really isn’t much to look at. Tommy Jiang is out to change that. 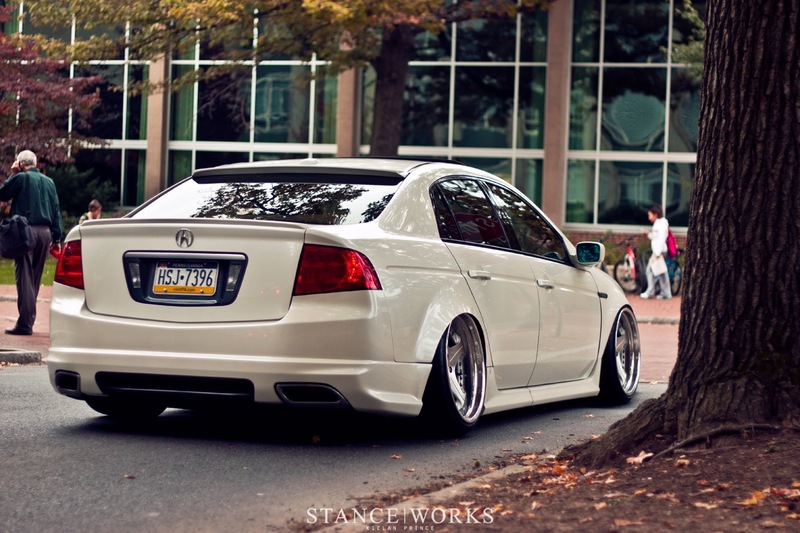 His Acura TL is easily one of the best representations of VIP styling done right on the East coast. Now take that and put it in a college town in the middle of nowhere Pennsylvania and you are bound to get some looks. From the side you know that this car is something special, but when you see it from behind you really get an idea, just how special it is. The widened and radiused fenders make the car nearly a full 6 inches wider than that of a stock TL. It truly is a bum you could stare at for hours. Now, some of you may recognize this car, especially those of you in New York. Well there is a reason for this; the car was originally built by Rodney, a member of LibertyVIP. BUT, don’t go writing this off as yet another case of some kid going out and buying a built car. Tommy is one of the most humble guys I have met. He even told me that he wasn’t sure if he wanted to even do the shoot because it wasn’t “his” car to be claiming credit for. He doesn’t talk himself up about the car, and he’s definitely not the type of person who rubs what he has in your face. He intends on really digging into this car himself, and making it his own (not that he doesn’t love how it is now) he wants it to be something that people will associate with him. I assure you, based on our previous discussions of his plans, this car will be seen again. With winter rapidly approaching, we are entering “build season,” and like many of us, Tommy sees this as the time to really dig in, blow the dust off the tools, and create something to call his own. 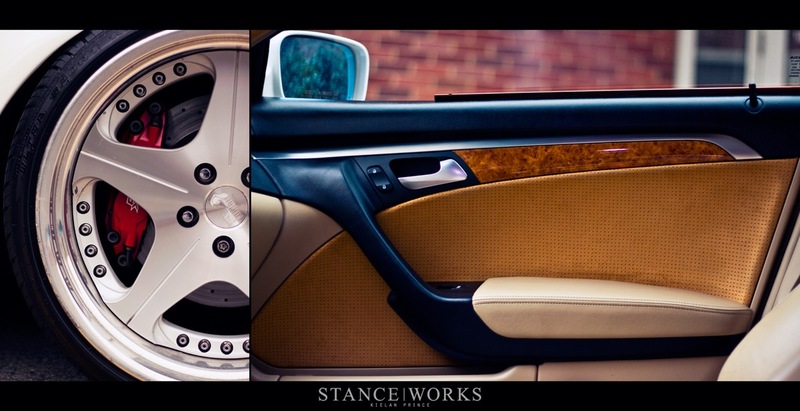 For more of Kielan's great photos visit his Facebook @ Kielan Prince Photography.